to participate in the primatology field school. 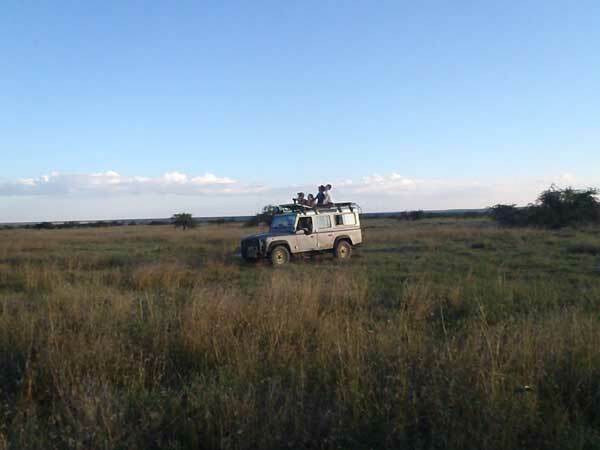 ĄĄIn Mugie Ranch, I observed wildlife in the morning and the night game drive. 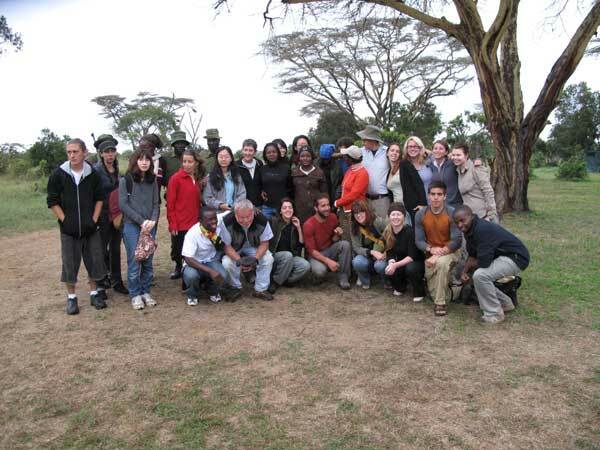 And I Attended a lecture on landform, tribes, climate, vegetation, and the interaction between wildlife of Kenya. In Rhino Sanctuary, I leaned the difference between white rhino and Black rhino, and how ranger's working. In Mpala research Station, I listened to a lecture about Scientific methods. In William Holden Foundation Education Center, I heard how they reuse water and how they put dung to good use as fuel. In chimpanzee Sanctuary, I leaned that Chimpanzees are sold as bush meat. And the the chimpanzees who were given protection had been under bad circumstances. Near the Tana river, I learned the conflict between Tana River City Council and the Tana River national Primate Reserve. And I also received training and practice of field methods, and in-depth analysis of previous field studies. I learned how to census primates, study social behavior and habitat use, practiced animal identification, time budget analysis via scan and focal animal sampling, and how to measure habitat use.